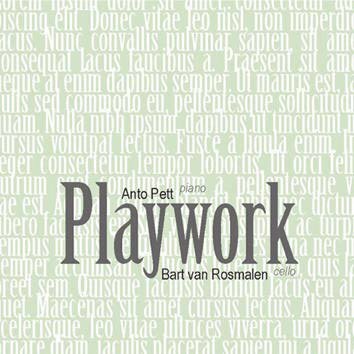 Anto Pett is professor of improvisation at the Estonian Academy of Music and Theatre in Tallinn. Cellist Bart van Rosmalen works with professionals in arts, science and business. The speed of their creative process is too high for regular thinking or planning, the players follow the play and loose themselves in the play. Sending becomes receiving, they discover unknown domains about themselves. Their high virtuosity, mystical sounds, expressive characters, ravishing rhythmic and collaborative creative process build extremly strong energetic power of their music. Their recording is an example of how to break down conventions and fixed patterns, of how to challenge themselves, how to leave the scripts and enter the unknown.